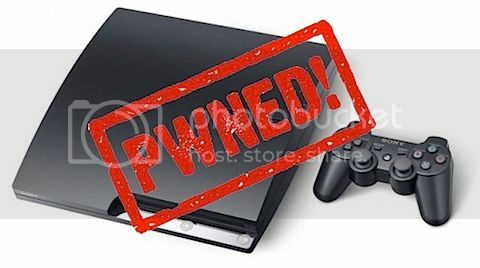 With the news from 27C3 Conference in Berlin, Germany, from fail0verflow stating that the PS3's security is an EPIC FAIL, Geohot released the PS3's metLdr Root Key. This root key allowed users to decrypt and sign files for the PS3. Members from PSX-Scene started to work on 3.50 appLdr keys. netkas was able to find 3.50 appLdr keys by decrypting the vsh.self and from a 3.50 game. What does this all mean to the end-user, well the goal is now you might be able to very soon play those impossible games like Gran Turismo 5 and Need 4 Speed: Hot Pursuit on your v3.41 Jailbroken consoles, thanks to the hard-thankless-work of PSX-SCENE members, you will be able to decrypt those games EBOOT.bin that were complied by Sony using their SDK v3.50. As you can see, they changed the keys between v3.41 to v3.50 to stop us PS3 Jailbreakers from play the latest and hottest games. We at DCEmu DO NOT condone piracy nor do we post illegal/copyrighted files. We are merely posting the news within the scene for informational purposes. Do the right thing and support game developers, publishers and console manufacturers. Winners will be contacted through Facebook for mailing address. What better way to start off the new year of 2011 with a contest? We have FIVE XCM HDMI Capsule's up for grabs. XCM HDMI Capsule (HDMI Switch) is unlike similar HDMI splitter products on the market (most of them are black or grey color). XCM HDMI Capsule is a frosted white color with a built-in 4 set LED for different HDMI ports. Each set of LEDs has its own color and light up when in use. It is in small size and looks cool. You can plug in for 4 different kinds of consoles simultaneously. You can assign which HDMI cable goes to which color for your console; green LED for Xbox 360™, blue LED for PlayStation 3™, red LED for Media Player, Yellow LED for Blu-Ray player or however you like it. We would like to thank XCM for sponsoring this giveaway. Rather than doing a Twitter contest (we also thought 1 month contest is wayyy to long), we decided to do something with our Facebook Fan Page which will last for 2 weeks. All you have to do is become a fan ( ) and you MUST leave a comment on the contest post itself and you will be automatically entered. If you already are a fan on our Facebook page, no worries! Just leave a comment on the contest post. Only 1 entry per person. The contest ends January 16, 2011 and winners will be chosen randomly and first post will be updated with winners. Winners will be contacted through Facebook for mailing address. Failure to respond will result in forfeit of prize. You can also purchase the XCM HDMI Capsule from Play-Asia and Divineo China. It retails for $29.99-35.00. You can also purchase the XCM HDMI Capsule from Play-Asia and Divineo China. It retails for $29.99-$35.00. Last month, we reported about downgrading your PS3 caused some PS3's to lose Blu-Ray playback feature. This was mainly for original PHAT PS3's that has 256MB NAND. Project #PS3BluRay was working on a fix but a beta tester released the information to the public even though it was not stable and ready for public use. The leak was potentially dangerous and not user friendly when it came to operating. DRLtools v0.90 is the first official release, which simplifies things greatly and is the fix everyone has been waiting for. Our quest to restore BD playback for those PS3s that lost it after downgrading continues. Unfortunately our project suffered a serious setback last week when one of our discoveries was prematurely leaked: A potentially harmful and incomplete method to restore BD playback was disclosed by an attention-seeking individual. It should be noted that the fix in question is only a "band-aid" solution to the problem. There is a very real possibility of future drive revocation resulting in PERMANENTLY broken playback! However, to make using it safer for those who wish to apply it, we have created this collection of DRL Tools. In the meantime we are continuing to work on a permanent and simple solution for all PS3s. Each Blu-Ray movie contains a Media Key Block (MKB) as part of its copy protection scheme. Newer movies feature higher MKBs; the latest one is MKB v20. Addtionally, each BD movie has a unique encrypted title key. Both are stored inside the AACS/MKB_RO.inf file of each disc. Fixing BD playback requires exact knowledge of which was the first instance of the highest MKB played so far. DRLgen can be used to identify the Blu-Ray movie with the highest MKB, and then create replacement DRL1/2 files for your PS3 which then restore BD playback. 1. A means to access Blu-Ray title discs to gather the AACS/MKB_RO.inf file, a Blu-Ray drive in a Mac / Windows PC makes the process easiest. Alternatively, SAK v1.0 can be installed as an OtherOS on the PS3 with firmware 3.15 or lower to accomplish this task. 2. Explicit knowledge of EVERY blu-ray title the blu-ray drive has played and the MKB versions of those discs. WARNING: While you can safely check every BD's MKB with DRLgen, you should limit the number of attempts of installing DRLs on the PS3, as the full details of the AACS "traitor tracking system" are not well known. 3. A FAT32 USB storage device to store and retrieve MKB_RO.inf and DRL files. DRLgen is a new and SAFER utility that uses the MKB_RO.inf from a Blu-Ray disc to derive correctly formatted DRL1 and DRL2 files easily every time. No difficult hex editing or byte-counting is involved. It is important to note that DRLgen uses the AACS' specification for the MKB format and does not simply assume DRL records start at a specific position and are of a specific length. The previously leaked information makes all these assumptions and is flat out INCORRECT in many situations today, and is NOT future proof and could lead to permanently broken playback. DRLbackup, previously released, has been updated to work in cooperation with the other two tools. As a best practice, a backup of the DRL1 / DRL2 files should be made prior to any system downgrade. Use in conjunction with DRLcopy for a completely recreatable process to downgrade your Large NAND PS3 and restore Blu-Ray playback in the future. Note: The location of saved files has changed, users of the older version of the tool should place their saved DRL files into a 'PS3bluray' folder in the root of the USB storage device for compatability with the new DRLcopy tool. 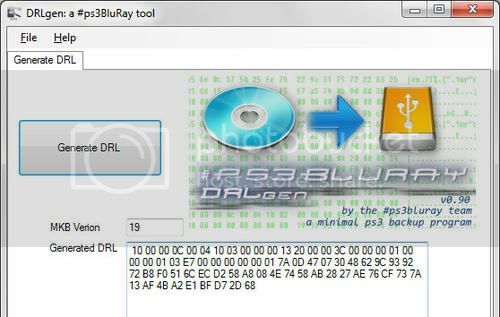 DRLcopy is a new PS3 tool that uses the output of the new version of DRLbackup (or properly located DRL backups from the previous version) and/or the derived DRL files from DRLgen to restore your blu-ray functionality after a firmware downgrade. Project #PS3bluray was formed on efnet by a group of enthusiasts after the Blu-Ray playback problem was discovered, our goal is to find a permanent solution. This is a group effort; we are neither seeking individual fame nor money. For serious discussion, join us in our IRC-channel #PS3bluray on efnet. Your time and hard work is very much appreciated. fail0verflow began distributing their source code and tools today, via their git. Here is what the team had to say about their git, "some tools for ps3 files. expect some fail, this is still WIP!" Geohot Releases PS3 MetLdr Root Key. What does this mean? This means that you can now decrypt and sign ANYTHING ON THE PS3 system. This pretty much means the PS3 is as hacked as it can get. For the end user, this doesn't mean much as we can not do anything with it. This is more for developers. 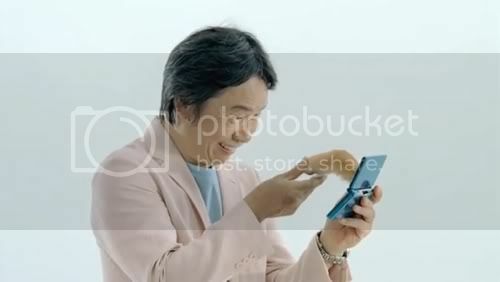 Next month, Nintendo is showing off the Nintendo 3DS to the general public in Japan for the first time. It could possibly make you sick. Oh, and don't plan on bringing young kids for 3D fun. Nintendo has a couple warnings regarding the Nintendo 3DS. These are general safety warnings for 3D, but here, Nintendo 3DS specific. The warnings echo sentiment expressed by Nintendo of America president Reggie Fils-Aime to Kotaku during E3 earlier this year. "If your physical condition worsens or you become ill, please stop playing at once," states Nintendo. The company notes that 3D has different effects on different people. The inclusion of the 3D slider, which allows players to tweak the 3D effect helps ensure that a wider range of players can enjoy the 3DS. However, children under six years old will be included in that range. Nintendo points out that the vision of young children is still in developmental stages, which is why it recommended that they do not use the 3DS's 3D effects as well as watch 3D movies and 3D television. Viewing 3D at a young age could have effects later in life. According to Nintendo, "Since the Nintendo 3DS can be changed to 2D to avoid any effects on young children's vision, it is possible for anyone to enjoy playing it." But not of course 3D. Nintendo is going as far as to include 3D parental controls for the Nintendo 3DS. This morning was the big unveil at the Chaos Communication Congress in Berlin, and it did not disappoint. Here is a brief synopsis for those that missed it. 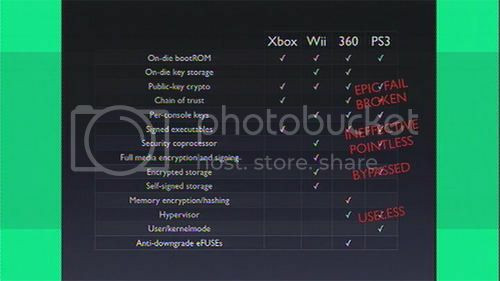 The first few minutes of the conference were spent explaining the state of security on other consoles (Wii, 360, etc). Following this, the group went on to explain the current state of affairs on the PS3. First, explaining Geohot's memory line glitching exploit from earlier this year. The team then went on to explain the current PS3 security bypasses, such as jailbreaking and service mode/downgrading. Approximately a half hour in, the team revealed their new PS3 secrets, the moment we all were waiting for. One of the major highlights here was, dongle-less jailbreaking by overflowing the bootup NOR flash, giving complete control over the system. The other major feat, was calculating the public private keys (due to botched security), giving users the ability to sign their own SELFs Following this, the team declared Sony's security to be EPIC FAIL! The team then displayed the website http://fail0verflow.com/ were we assume will host examples of the new exploits and further details. They stated that easy to use tools would be coming next month. # fail0verflow is the name of our 'group'. We are a bunch of curious hackers who have been working on a bunch of things over the last 3 years. # our goal is to have linux running on all existing PS3 consoles, whatever their firmware versions. # For all those out there that think fail0verflow.com has been hacked - it hasn't. We're just busy working on a demo for tomorrow. Patience! We have uploaded the full video for those who missed it. Live Demo will be available tomorrow during the CCC's Lighting Talks and possible tools for developers to be released within a month. Team fail0verflow also released their presentation slides and we have attached it below. New York, NY - (December 23, 2010) - Thrustmaster, the innovative PC and console accessory brand, is pleased to unveil today the T500 RS wheel and pedal set specially designed for Gran Turismo 5: a racing assembly that lets gamers live the most realistic, powerful driving experience, with no compromises. The T500 RS is a real driving simulator, combining power and precision. Thrustmaster has drawn from more than 20 years of expertise in racing wheels, with a single goal: to develop a wheel and pedal set that allows users to go as far as possible in the GT5 experience. The designers have taken into account the expectations of the most demanding gamers, while also adhering to the technical choices of the developers of this new opus in the benchmark car racing series. The T500 RS's dual official GT5 and PlayStation® licenses are the result of this unique positioning, as Kazunori Yamauchi, CEO of Polyphony Digital and Senior Vice President of Sony Computer Entertainment Inc., explains: "The goal that I set for the Thrustmaster team was to design for me the most precise wheel ever developed, without any latency – to accurately reproduce the sensations of GT5, and let users truly feel the emotions experienced by drivers on real racing circuits." Size and Dimensions: Completely optimized for GT5, the T500 RS meets the demand for absolute realism. The first thing users will notice when setting it up is its weight: 4.6kg for the wheel, and 7.3kg for the pedal set. Another instantly visible feature is the omnipresent use of metal – for the gearshift levers, the wheel's central spokes section (30cm in diameter) and the pedal set. This has required a mechanical design with no compromises. Wheel and Gear levers: Ergonomics was at the heart of the wheel's development, with an eye on optimizing game play, performance and driving sensations. The sequential gearlevers mounted on the base feature large 17cm levers that are constantly accessible without letting go of the wheel. The wheel itself offers a remarkable 1080° rotation. These 3 full turns are also adjustable, thanks to a motorized stop, allowing the gamer choose the maximum degree of rotation according to the type of racing circuit and the car being driven. Metal Pedal Set: The spacing and height of the 100% metal pedal set is also fully adjustable and accommodate individual driving preferences by offering 2 positions: "floor-mounted" F1 style, or "suspended" GT style. The brake pedal has been given extra attention, with reinforced and adjustable resistance that lets users perfectly tailor their braking with near surgical precision, and which includes a removable mod. A textured foot rest, also crafted entirely of metal, completes the pedal set. Gamers will notice that having 3 pedals at their disposal not only enhances the level of realism, but it also gives them a taste of what's to come with the addition of an independent gear stick, which will also be available from Thrustmaster in the coming months. 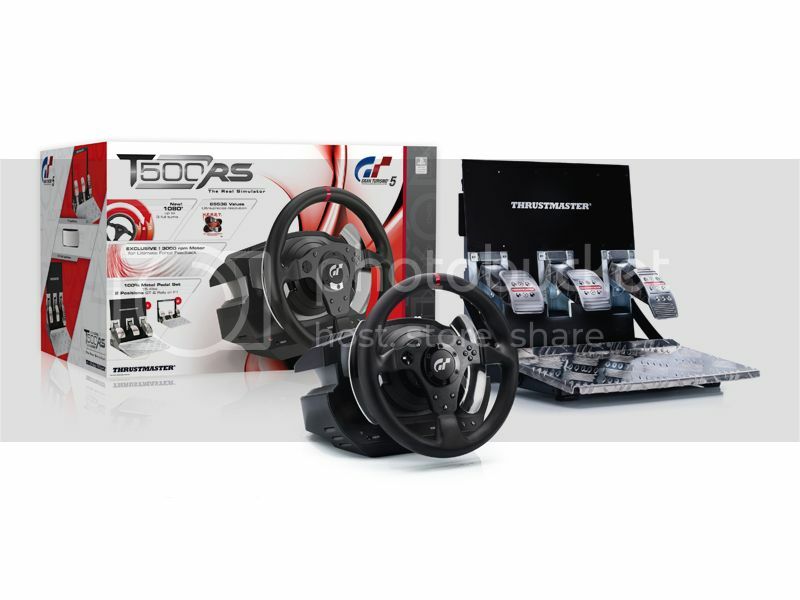 Force Feedback Racing Simulator: The T500 RS is a true racing simulator designed for the most die-hard racing fans: its power is unmatched, with Force Feedback effects relayed via a 65W industrial motor, providing 150mNm at 3000 RPM. The Force Feedback mechanism is vigorous, fast-acting and extremely responsive. While the power is potent, the integrated large dual-belt system ensures backlash-free and smooth behavior. Totally Precise Wheel: Fans of even the most intense racing experience know that power alone does not allow them to achieve the best performance. With this in mind, the T500 RS provides total precision which never decreases over time. The T500 RS employs the same technology developed for the world's latest benchmark flight stick, the HOTAS WARTHOG™. The magnetic sensor-based H.E.A.R.T HallEffect AccuRate Technology™ is incorporated into the wheel's steering mechanism. As a result the wheel is super-precise with 16-bit resolution and 65536 values on its steering axis. The T500 RS will be available late December / mid January, depending on the territory, at a suggested retail price of $599.99. The T500 RS will be available from January 5 in North America and Europe and from January 25 in Japan, at a suggested retail price of $599.99 / £449.99 / €499.99 Are you willing to spend $600? The price of TWO 160GB PS3's? Overview : The last Max-Pic is one very powerful universal PIC trainer board for every firmware and work at 12Mhz! THIS DOES NOT WORK ON FIRMWARE 3.42 OR ABOVE UNTIL A NEW EXPLOIT/METHOD IS FOUND! Quality/Usability : The Max-Pic is not your average and normal looking PS3 USB Jailbreak dongle. The Max-Pic is actually a PlayStation 3 jailbreak device and much much more. Not only can you jailbreak your PS3 with ANY .hex file, but you're also able to reprogram the Pic-Fun (if it ever gets corrupted), use it as a Xbox 360 SPI NAND flasher (more info below) and for various USB/LED projects that you may have. The quality of the dongle is very well made. Even if you were to screw up and corrupt Max-Pic, you can reprogram it and fix it. 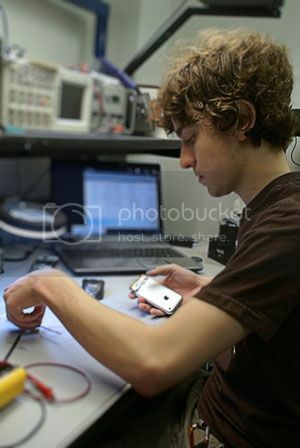 With other jailbreak dongles, you're unable to do this. With the new P3Free Updater, you no longer need to download any .NET or .DLL files. Now link to your PIC kit and click the "Search" button again, it should can auto detect the PIC chip. But not everyone has a serial port on their PC. So the Max-Pic (P3Free) team has released a Max-Prog Add-On which attaches tot he top of the Max-Pic and a Max-Prog 2-in-1 which is a Max-Pic and Pic-Fun together. This connects on top of the Max-Pic. 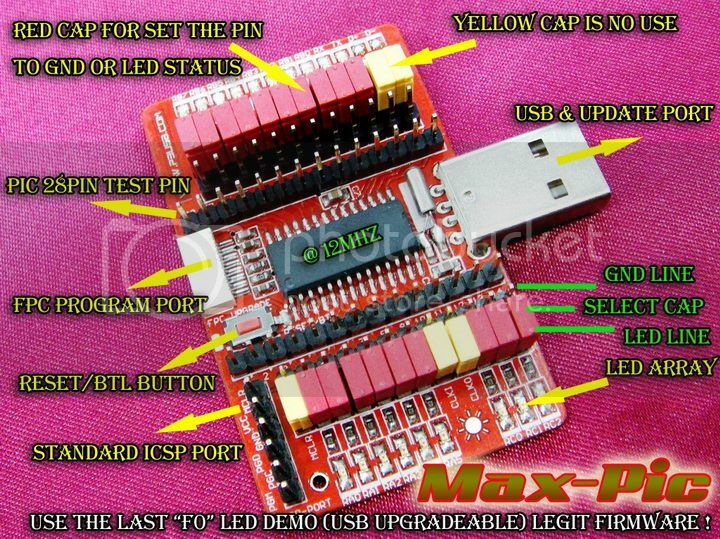 Conclusion : Overall, the P3Free Max-Pic USB Trainer Board is a very powerful USB device that can do many things. Not only can it be used for jailbreaking the PS3 and fixing Pic-Fun dongles, it can also be used as a Xbox 360 SPI NAND flasher (more info here). If you're into USB development, this would also be great for your USB/LED projects. Even if you're trying out stuff for the PS3, this would be the perfect board to try all your experiments without the fear or damaging your dongle. However, if using this on a PS3 as a jailbreak device, there are many other options available. The size of the dongle is very big in width and will cover other USB ports on the console. To "fix" this, you'll need a USB extension cable.